One year ago as of this month, my friend and I were having a conversation about why a certain Irish boy was so good-looking. The answer was, of course, "because he's Irish." And thus, Because I'm Irish was born. As of December 20th, it is one year old. I feel incredibly sappy about this. I suppose it's a little weird to be writing a blog post commemorating the birthday of ... my novel. But my dad said, "They all become your children, eventually." It's so true. This book is my baby. More or less. Time to celebrate. And just try your best to ignore the sap. - Fiona Bartulli is my main character, and her name happened by complete accident. I was typing, looked over at my dad and said, "I need a last name." He said, without missing a beat, "Bartulli." - The book is set partially in NYC. Other notable locations include Tennessee and Ireland. - My favorite scene in the book takes place in Ireland, atop some gorgeous cliffs. I read over it a week ago, and I had tears in my eyes. - On my characters' trip to Ireland, their car runs out of gas and they walk a few miles to a gas station, which caused me to have to ask my international friends about Irish gas stations. Never again, I hope. - One of my characters surfs. - I still don't know how it actually ends. I ended it with a devastating cliffhanger, and when I reread it last week, even I agree it's a rubbish ending. So it will be getting a happier one. I just don't know what it is yet. - This is the second book I've finished and it's the one I'd like to pursue publication with. - After finishing it in July, I started in on a round of edits, adding and beefing up scenes. Unfortunately, I didn't finish the edits before putting it back in the shadows for a bit. This is due to me not feeling competent at all to edit a first draft, and not wanting to mess anything up. Because I stopped editing, this means I have tons of half-finished scenes. Such as a scene where my main guy character takes Fiona to meet his family, and his mom opens the door and says hello. End scene. I'm serious. I really need to fix that, which is my first step before sending it out to be beta-read, I suppose. - This book is entirely filled up with guys. It's about a boyband, what do you expect? Aside from Fiona and the band's tour manager, there are no girls in the story. I had one character, Lark, who was a cellist in the band and sister to one of the members. She lasted about 500 words before being thrust into oblivion since I forgot all about her (and she was starting to annoy me... and Fiona). Oops. - My friends and I are currently writing an alternate universe where our characters meet each other. Fiona's best friends with my friend Caroline's character, Beck. Their relationship is pure sass and she's nicknamed him Agent 007. 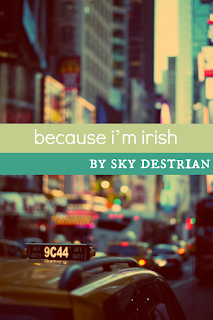 - Because I'm Irish fulfills my long time fascination for adventure and suspense. - The reason I think I finished this book so quickly and with minimal effort was because of two reasons. 1, I really did not research before starting. Instead of getting hung up on what kind of guns my villains should use and what Ireland looks like in the summer, I just dove headfirst in. This is one of the most beneficial things in writing I have ever done. Now that the first draft is finished, I can spend time researching. In fact, I visited Ireland on Google Maps last night. It was lovely. The second reason is that I took the advice of a famous writer: When in doubt, kill someone. Unfortunately, I can't remember who that famous writer is, or what the exact quote was. All I know is, it stuck with me. Now, I didn't kill a character every time I got stuck, but what I did do was up the stakes. I'd do something drastic. Like introduce the possibility of death. Have my villain whip out a gun. That kept the pace moving so dang fast. I remember being bored only a few times while writing this book. And that was so wonderful. I wish all my novels could be like that. she quotes it all the time. she got kidnapped by the boyband while checking out at Wal-Mart. during the writing of this book, she fell due to the fact that she was wearing ballet flats. she nearly broke her nose. at least, that's what she thinks. oh, yes. and she's one of my favorite characters of all time. Because I'm Irish, thank you for coming into my life when I needed you most. Thank you, God, for giving me a novel that would bring me through many rough times. Thank you for the smiles. Thank you for the laughs. Aww. Sweet. :) I feel that way about my babies...er, um, books...but I don't know their exact birthdays. And I do utterly love your cover (PS it's probably weird to admit that). Totally a book I would pick up. Being a fan girl is dangerous? Mm. Off bookstore shelf, into my hands. Ok, so I really want to read this know. Definitely something I want to read (it reminds me of Niall from One Direction :) ). Yep. They've not quite got into the Let's Not Kill The Author part of the festive spirit yet. Fangirls are deadly. Bookworm fangirls . . . there is no surviving an attack. It is totally not weird commemorating your book's birthday! You dad is wise, they absolutely become your children. I love books like this, that just become endearing to you, that are just so special you can't quite even describe it. I think it's fantastic! Also, this book sounds way too amazing for words. Like...yes...I want it. You must get this thing published! This reminds me of a movie that's inspired me a lot: August Rush. It only reminds me of your book because there are some Irish guys in it and it's in NYC (I think or some big city). The plot is completely different otherwise though. It does have some language in it but other than that it is a great movie a little like Oliver Twist with a musical twist. I pinkie promise, when you publish it, I will buy it. Cross me bloody heart and 'ope to die. When oh WHEN do I get to read this? I need it. I need it in my life. I need it like I need air and water. Sassy is good. Sassy is very, very good. Why can I not read this novel?? 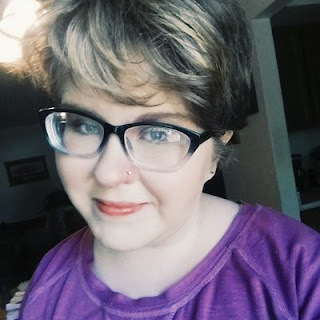 Also, I cannot BELIEVE I haven't encountered your blog before now! Your writing skills ... oh, how beautiful! I am now a dedicated follower. You had me at "birthday of my novel". I still want to read this. Hope you publish it soon, and that the Lord blesses it mightily! Until then I will be happily stalking it's pinterest board.